erome Corsi was not in communication with WikiLeaks regarding Hillary Clinton’s emails, however he was in touch with Peter W. Smith, the Republican researcher who found hackers on the dark web who offered him the deleted emails. Robert Mueller’s team are attempting to prove Jerome Corsi tipped off Roger Stone, a Trump ally, months before WikiLeaks released thousands of emails stolen from Hillary Clinton’s campaign chair, John Podesta. 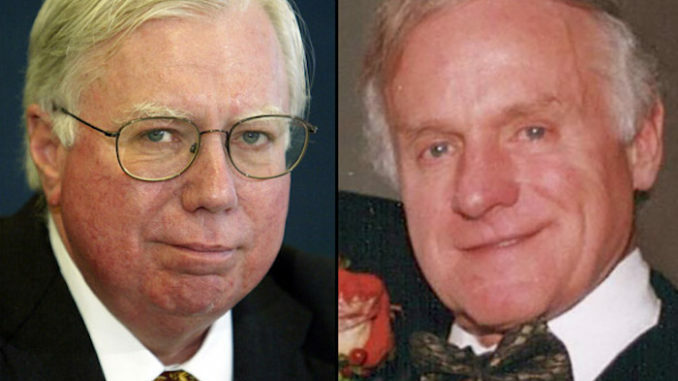 Corsi and Stone both deny having prior knowledge of WikiLeaks’ plans, however Corsi did know about Peter W. Smith’s plans to release Hillary’s emails. Peter W. Smith, a Republican researcher and strategist, was found dead one week after giving an interview to the Wall Street Journal and announcing that he was close to securing the 33,000 deleted emails that he believed would bring down the Clinton cartel and expose years of corruption. One week later Peter W. Smith was dead. The autopsy said he died of asphyxiation after suffocating himself in the hotel room. But Smith’s death raised eyebrows. Mainstream media reporters even found the official story hard to swallow. The suicide note left in his hotel room said “There was no foul play whatsoever.” It also conveniently explained that Smith took his own life because of a terminal illness, and that his life insurance was about to expire. Who in the world writes a suicide note where they explicitly say “NO FOUL PLAY WHATSOEVER”? Why would you write that unless you were worried that officials might suspect foul play in your death? Despite the note, the Wall Street Journal said Smith was close to finding the truth behind Hillary’s missing emails. He was hell bent on locking Hillary up and he displayed no signs of giving up on his goal. Is this the description of a man who was about to take his own life? Or was his life taken from him because he was within touching distance of the emails Hillary Clinton went to great pains to hide, delete and scrub with BleachBit?